Here are the lyrics. 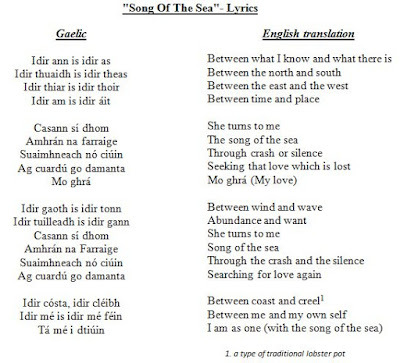 I've put the Gaelic and English lyrics side-by-side for easy reading. 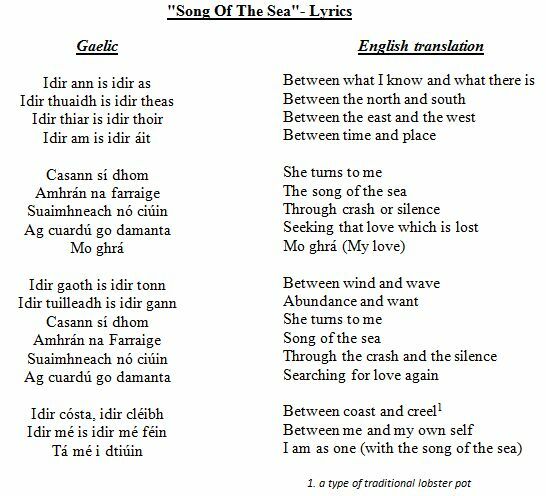 The translation is from a very helpful comment by an Irishman (Mr. Fergal Ó Ceallaigh) on the youtube. It dramtically improves the meaning over some other lyrics floating over the net.